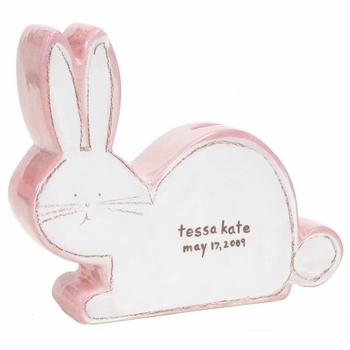 This hand painted white bunny coin bank makes a great addition to any nursery or children's room. 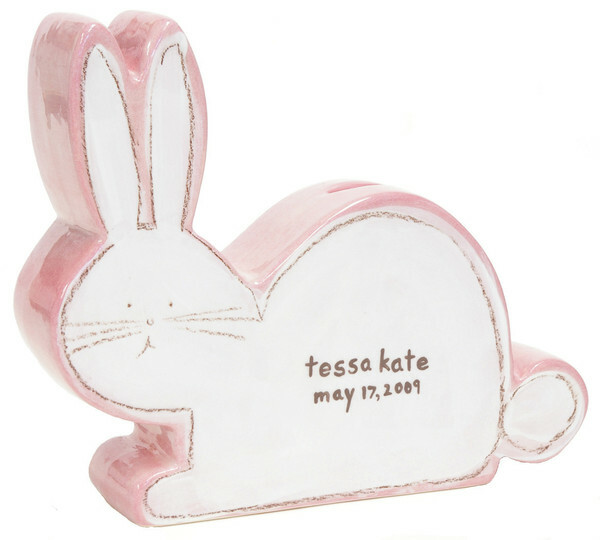 It can be personalized with your child's name and birthdate for that extra special touch. It measures 11.5” x 2.5” x 9.5” h.